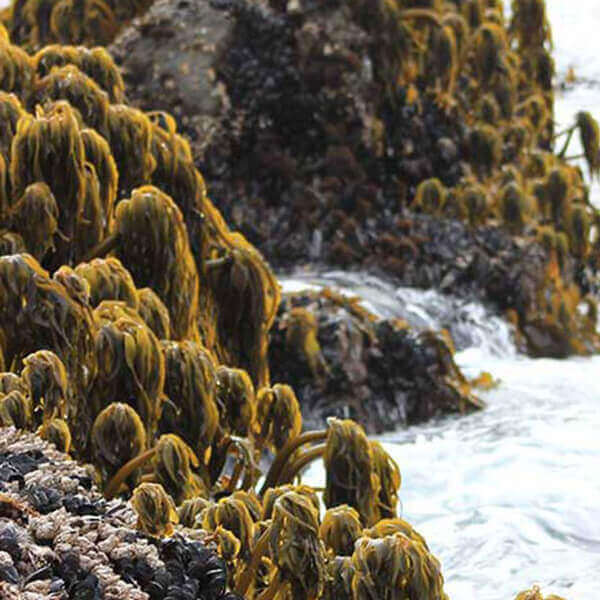 THE ESSENCE OF SEAFLORA SKINCARE IS FOUND IN THE SEAWEEDS. Seaweed is a vegan super-food that is used in many dishes around the globe and our products are so pure, you could ingest them without fear of harm. Because all skincare products seep into your skin and as many nutritionists know, if it’s not safe enough to eat, you shouldn’t put it on your skin. Organic seaweed has many health benefits and offers the best support for modern living because they remove toxins from the body and free up detoxification pathways. Seaweeds deeply re-mineralize, balance pH levels, fight inflammation, and promote overall body health! Seaweeds are the richest mineral and vitamin source in the plant kingdom with 10 – 20X higher concentrations than any land plant. Mineral content in seaweed ranges from 20-40% per 100 grams compared to 5-10% per 100 grams in land plants. In seaweeds, minerals are absorbed directly from the ocean in their ionic forms. What does this mean for you? A brighter complexion, healthier skin and nontoxic beauty results. Seaweeds are unique and ancient life forms found exclusively in the ocean along our continental coast lines. Spirulina, blue-green algae while considered algae are not considered seaweed! These are fresh water plants. They do not grow in the ocean and do not have the same benefits only found in true seaweeds. Varying in color and shape from forest green branched stipes, filamentous blades tinged with red, and muted brown flat fronds, seaweeds embody hundreds of millions of years of adaptation to the ocean environment. Seaweeds are some of the first plant forms to evolve some 600-800 million years ago and do not have roots but anchor to the seabed by holdfasts. Seaweeds do not have leaves or bark, but stems called the stipe and flat blades called fronds. Seaweeds absorb nutrients directly from the ocean water in a water soluble form. Absorbing and alchemizing essential nutrients directly from ocean water, seaweeds are packed with vitamins and minerals, salts, fats, and amino acids that nourish and revitalize the skin, naturally. Their simplified cell structure means that seaweeds’ nutritional content is more readily bioavailable and penetrates the skin more effectively than other plant forms like fruits and vegetables. 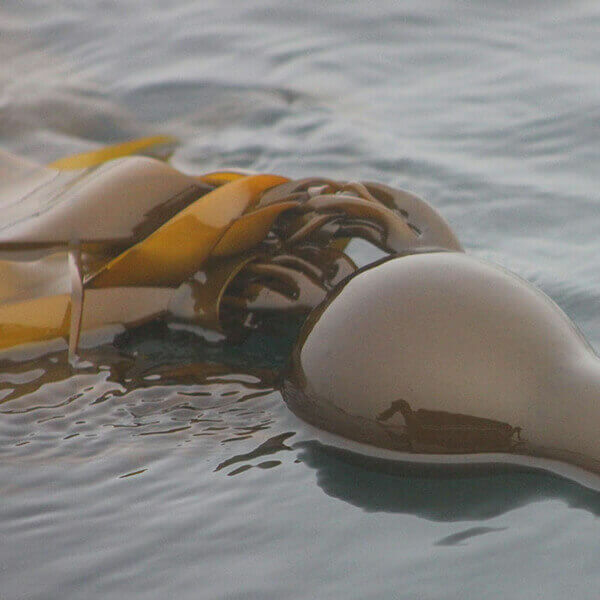 That’s why seaweed belongs in skincare, and why Seaflora pioneers the use of fresh, hand harvested seaweeds in the health and beauty industry. Nutritional compounds in seaweeds are up to 20X more concentrated than in any land based fruit or vegetable. This nutritional advantage is why seaweed is the ultimate choice for skincare. Organic seaweeds are an important supply of 60 trace elements. They are a primary source of B12, of vitamin E & K, and an excellent source of over 12 bio-available minerals including potassium, calcium, iodine, magnesium, phosphorus, iron, zinc & manganese. In addition to these minerals and nutrients, seaweeds are a treasure trove of bio-available full-chain amino acids to firm and renew tissue cells and promote collagen production as well as anti-inflammatory fatty acids. Seaweeds contain fully unique bioactive compounds not found in any fruit or vegetable sources. Many of these bioactive compounds are amazing alternatives to chemical based, disruptive ingredients commonly used in skincare. What’s more, some of seaweeds’ unique compounds offer better moisture retention, enhanced skin elasticity, inflammation-fighting abilities, improved blood and lympth circulation and a boosted metabolism – all thanks to seaweeds. By developing unique methods that draw out and retain these special compounds, Seaflora uncovered the gift of nature.